Having had the opportunity to cover both Dreamstate San Francisco and Dreamstate SoCal this year, one can see exactly what this music does to people. The passion. The uplifting spirit. The community. The love. Where other genres seem to be a bit stagnant, trance is gaining momentum and demonstrating its staying power. Dreamstate SoCal provided yet another glimpse into the strength that empowers all Trance listeners. Here, we would love to give you some of our thoughts on the major highlights we experienced. If you caught our review on Dreamstate San Francisco, you can understand our excitement for the Southern California edition. We knew some big things were happening: Ferry Corsten reviving his System F alias for a one-off mega performance. The fact that this event would hold two straight days of psytrance uninterrupted on one stage. Kristina Sky and Orla Feeney performing the first ever female B2B at the festival. Following the incredible set of John O’Callghan, the music stopped for about 15 minutes. We knew a delay was going to happen but weren’t sure what for. A massive banner fell from the rafters, with the trademarked Ferry Corsten “F” squarely in the center, covering the entire stage. As a few minutes passed, a curated, classical music playlist began to play. It brought a sense of calm before the Ferry Corsten storm descended upon Southern California. Without warning, the classical music stopped, and System F kicked in. For about 15-20 seconds, we still did not know what was behind that curtain. Then, it happened – this massive, 150ft by 120ft curtain dropped, only to reveal Ferry Corsten suspend 30 feet above the stage on a high riser! Even typing this, I once again get goosebumps. Everyone was taken back, then a roar of applause rumbled forward as the high energy set took flight. We heard tons of his classics such as ‘Ignition, Sequence, Start!,’ ‘Needlejuice,’ and ‘Solstice.’ The closing track was his anthem ‘Out Of The Blue,’ which celebrated the 20th anniversary of its release. It was a driving, all-out vintage performance from the living legend. Ferry’s mixing and range are something special to behold. Check out our personal video of his closing track ‘Out Of The Blue.’ Wish you were there? All the clichés are true – you have to be there to truly understand. Gareth Emery brought his Laserface performance to a festival for the first time ever (which can be viewed just below its entirety thanks to his team). Yes, the lasers are absolutely stunning, and syncing each individual song to a laser is an epic feat. What amazed me most was the breadth and depth of song selection by Emery. At the tail end of Night 2, and following up the incomparable Ferry Corsten, Gareth commanded the crowd. He didn’t lean on his extensive catalog of vocal hits to just skate by. He brought a firestorm of massive and uplifting tunes that had everyone from back to front in awe. We heard his underrated classic ‘Tokyo‘ for the first time in ages, and when he dropped Seven Lions‘ charger ‘After Dark,’ we were truly at his mercy. Stunning performance from the honest Brit. It’s hard to put into words just how moving Paul van Dyk‘s set was. Emotional, powerful, and spiritual all come to mind. His expert teasing and beautifully drawn out tracks entranced this crowd to no end. He somehow made his hour set feel like four hours, and he did so by not forcing in 100 tracks into that hour. He made his set his own, knowing that this crowd would respond positively. His playful antics on stage mirrored his tracks wonderfully, giving him a very accessible presence. If you haven’t seen him live before, make this a top priority going forward. The German duo and Italian live DJ are absolutely on fire of late. Cosmic Gate possesses a rare blend of nostalgia and modern sound, one that evolves with every track they produce. 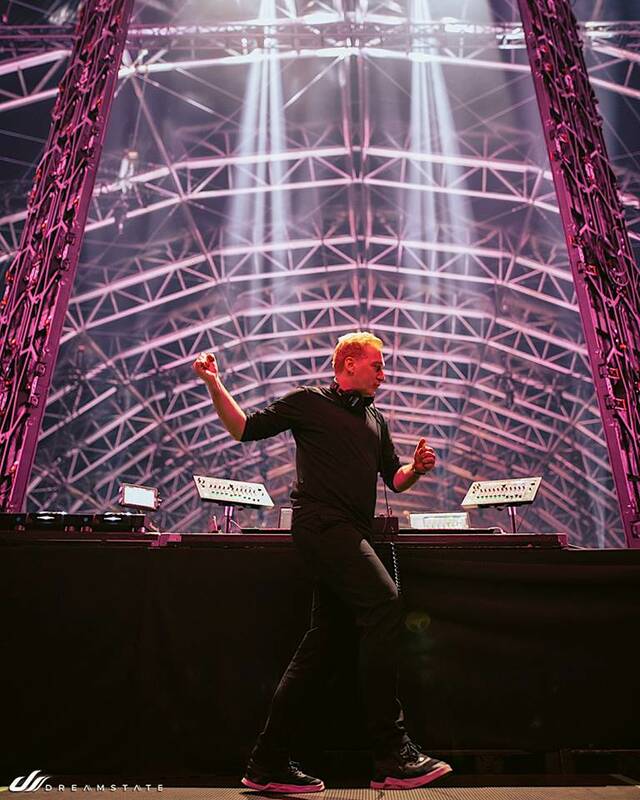 Giuseppe Ottaviani’s Live 2.0 is one of the most electric performances you will ever witness. Their class and production are in a league of their own, and we cannot wait to hear their sound continue to grow. Big, bold, magical soundscapes. On a day marked by amazing B2B sets, Astrosphere (Robert Nickson vs. Driftmoon) definitely stood out. Ranging from one atmospheric tune to the next, their booming anthems provided ear candy for all. Dominating “The Vision” stage, the unexpected duo captivated the Citrus Building at the NOS Events Center. Hopefully, this was not a one-time deal, and we get to hear plenty more from this amazing duo. This was insane !!! Thank you @dreamstateusa ! 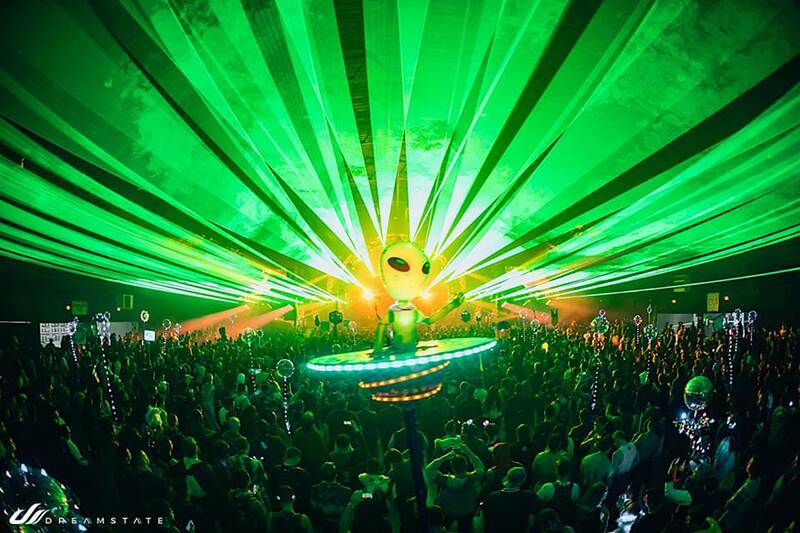 All in all – we were absolutely floored by the production value Dreamstate SoCal had to offer. These moments were just a few, and I know every person took something special away from the event. It all lends itself to the power of positivity and the magic of trance, which was palpable the whole weekend. Bravo to Insomniac Events for another tremendous event! How will they top it next year?